I’ve spent a fair amount of time traveling around Europe this past year for both work and play. There are a number of differences between most European countries and the States (a lot of them have to do with bathrooms). Some of the differences are quite lovely. I am a big fan of bathroom stalls that go all the way from floor to ceiling and don’t have those goofy gaps in the joints like we have everywhere in the USA. WTF is that about? The flip side is that it’s pretty damn hard to find a free bathroom in a public place in Europe. It’s actually kind of a startling experience the first time you encounter it. I’ve seen more than a few Americans encounter this for their first time, and it always shocks. Et voila… You do not have to buy a thing from a McDonalds to use their toilets anywhere in the world. 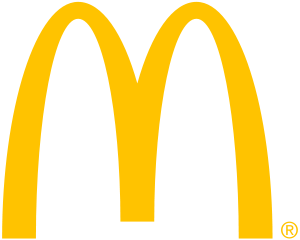 Gives a new meaning to golden arches, don’t it?